Creating a dental website can be challenging to most dentists, who really just want to practice dentistry. The problem is that most dentists still underestimate the power of a well-designed dental website and sometimes leave this task to a family member just learning web design to handle such an important dental marketing tool. 1. Complicated web designs that are difficult for visitors to navigate. Visitors may be accessing your dental website via mobile, so keep your website design simple so that your site can be easily viewed on multiple devices, browsers, operating systems, and Internet speeds. Stay away from dark colors that are difficult to read and font that is too small to be read a foot from the computer screen. While less is more in web design, fonts should be easy to read and large enough to read without the use of reading glasses. 2. Not making it clear that you are a dentist. This statement may sound funny to you, but sometimes dentists can get too caught up in creating a website that is fun for kids to view, forgetting that it is their busy parents who are trying to get information quickly about you and your dental practice when they search for you online. Stay away from moving graphics or anything that distracts from what dental treatments your practice offers. 3. Not placing your phone number where it’s easy to find. Your contact information is your most important marketing tool. Make sure your phone number is visible on every page of your website in exactly the same place — big enough to be easily read on a smart phone. Ask them to call you and make it easy for them to do so. Do you have an after hours answering service? This is a strong selling point. Be sure to offer this information right with your phone number. 4. Not having a clear call to action. Tell your web visitor what you would like them to do. Do you want them to call your dental practice for an appointment? Tell them. 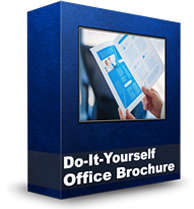 Does your office provide services that your competition does not? 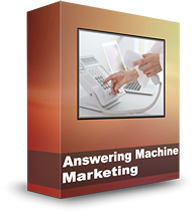 Tell your visitors right away and ask them to contact you to take advantage of this service. Be clear. Be bold. Don’t fill your web pages with images and content in every square inch of your website. Don’t be afraid of the white space. It’s difficult to read on the Internet so make it easy for your visitors to find what they are looking for by keeping content to a minimum. 6. Thinking that now that you’ve built a website, everyone will come. You have to know what terms people will search to find a dentist in your area and have an Internet marketing plan to drive traffic to your dental practice website. Just putting a dental website up on the Internet isn’t enough. You’ve got to be listed in local search, online review sites and dentist directories to name a few. 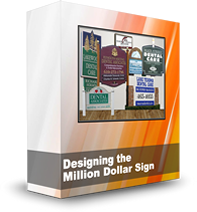 You need to add your web address to all correspondence — even to your dental sign and front door. 7. Allowing your website to grow stale. Keep your website updated with fresh images, social sharing buttons, and the latest dental technology your office utilizes to let visitors know that you care and value their experience enough to stay up-to-date on the latest dental trends, treatments and technology. Share what is happening in the industry on your Facebook Page and engage your fans in a conversation about what they think. 8. Letting someone in your family or a good friend create your dental website. When it comes to dental websites, you absolutely get what you pay for so don’t leave your online presence to hobby web developers. 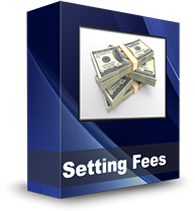 Hire a professional and consider the money you spend on your dental website as an investment in your dental practice. A well-designed dental website can bring you many new high-value dental patients with just the click of a mouse. Don’t throw this opportunity away by not giving your dental website the priority it deserves. You can avoid all of these dental website mistakes mentioned here by hiring the right web design company to build your dental website correctly from the very beginning. With the Internet Dental Alliance Dental Website Template Library, you can relax about your dental website design while maintaining total control of the look and feel of your site. Stop by the Internet Dental Alliance today to see just how easy it is to create a dental website with good design structure built right into the template. 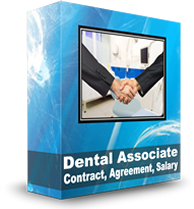 Now dentists can get help training their front desk teams to improve their dental marketing skills when they subscribe to one of the New Patient Marketing Machine™ multiple website packages from Internet Dental Alliance, Inc. (IDA). 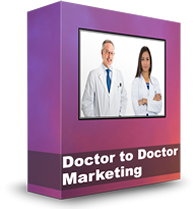 The bonus “Internal Marketing & Communications” video tutorials give doctors proven tools their team can use to convert more of the leads generated from their IDA Portals (dentist websites) into new patients every month. 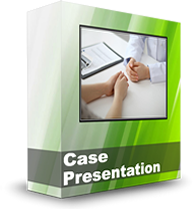 The three-part tutorial includes two videos, plus a selection of downloadable scripts, sample letters and more than 60 customizable templates that make it easy for dental teams to follow up with patients after treatment is completed, and communicate on a regular basis to maintain visibility and increase referrals. 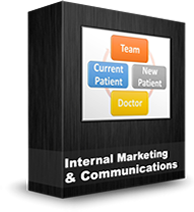 The “Internal Marketing & Communications” tutorials is a powerful dental marketing tool. IDA’s tutorials show dental teams how to design and implement their own systems to create high value referrals and communicate with their patients consistently to generate a steady stream of new clients every month. IDA is the largest North American provider of dental websites and dental directories. Known for its cutting-edge approach to dental marketing, it completed development of its advanced Lead Fire technology in 2012. Lead Fire’s proprietary content generation technology makes it possible for doctors to generate new patient leads within minutes of set up, and uses organic geo-targeted local search, customized and optimized for each dental practice . Internet Dental Alliance provides dental website design, find-a-dentist websites and other dental management advice and internet marketing resources. Dentists have control over their websites’ dental marketing focus with the New Patient Marketing Machine® packages from Internet Dental Alliance, Inc. (IDA). Doctors who choose IDA’s Professional or Premium packages also get the quarterly Dental Marketing Intelligence Reports® (DMIRs) to help them choose the focus of their dental websites based on their clinical skills as well as fresh market data about which treatments and services are in highest demand online. 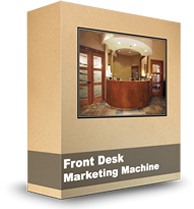 IDA’s New Patient Marketing Machine® Professional or Premium packages provide a unique combination of online dental marketing tools paired with dental marketing strategy and training from an experienced leader in the field. IDA’s Web Portals use its proprietary LeadFire technology to automate SEO for both local and treatment keywords so web pages are optimized within minutes. The DMIRs analyze consumer demand and cost to acquire new patients in more than 10 dental markets so doctors can plan dental practice marketing campaigns based on current data. Bonus video tutorials train dental teams in skills that convert leads into new patient appointments. 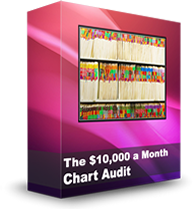 The Professional level offers five Portals, and the Premium level offers ten Portals. Both packages include dynamic SEO, the DMIRs, lead and call tracking, listings in IDA’s online Dental Directory network, and a complete set of social media, video and mobile marketing tools. IDA is North America’s largest provider of dentist websites and dental directories. 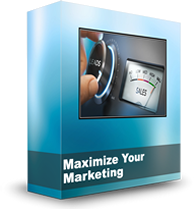 In 2012, it completed its cutting-edge dentist marketing Lead Fire lead generation system. Based on organic geo-targeted local search strategy which is customized for each dental office, LeadFire technology automates search engine optimization, and makes it possible to generate new patient leads within minutes of setting up the system. Internet Dental Alliance provides dental practices with online dental marketing services such as dental practice websites, website design, find-a-dentist websites, and other dental management advice and resources. Mobile dental marketing for small and large dental practices is new easy. Internet Dental Alliance, Inc. (IDA) has New Patient Marketing Machine™ packages for practices ranging from single doctors to multiple doctors with multiple locations. The Starter package, for dentists new to online marketing, includes a mobile landing page. Packages for larger practices and dentists with more internet experience feature a fully interactive mobile app for each Portal, or dental website. The mobile features save time and make money for doctors in two ways. First, they won’t have to spend time finding a web designer to make their websites mobile friendly. This is important, since websites created for viewing on laptop and desktops don’t automatically display well on smaller mobile screens. Second, dentists with IDA Portals won’t lose new patients who give up trying to find their way around a regular-sized website while using their smart phones or tablets. IDA mobile-ready dentist websites will be available 24/7 to generate leads. And the Professional and Premium level packages even let mobile visitors set appointments online. The mobile version of an IDA dental marketing Portal displays the same data as the main site, and the mobile site updates automatically whenever changes are made to the main site. The mobile applications can feature information about up to five doctors and two locations. Dentists can also advertise up to six coupons for special services. dental marketing from IDA provides dentists with dental marketing tools and other dental management advice and resources. IDA is the largest provider of websites for dentists and dental directories in North America. Three out of four dentists have their own dental practice website, this survey found. On the other hand, 13% say they have no Internet presence at all. In addition, 87% of dentists say they’re satisfied with their internet dental marketing. 54% have a dental website with their own domain name. 23% have multiple dental websites and domain names. 10% don’t have their own URL, but are listed online. 13% don’t have a website or online listing. Here are some additional comment from dentists.